Register Log In GliderCENTRAL Forums Health & Hygiene Sudden Weight Loss- Stress? Kidney Failure? Liver Disease? Your vet is correct. 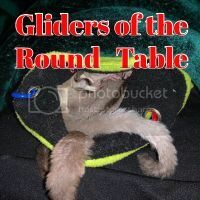 I would quit the Ensure, it should never be given to a glider that could possibly be dehydrated. I would give the avocado a couple times a week. You can also ad Milk Thistle and Dandelion root to their food. Get it at GNC try to get the stuff without alcohol. I don't know what diet you are feeding. I feed Critterlove Plus and when I use it I put a few drops in a batch. Talk to your vet about it and see what he recommends.